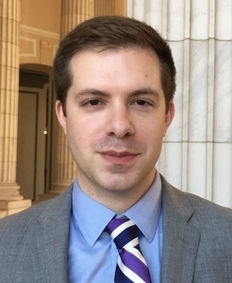 Christopher Adamec has joined the Patient-Centered Primary Care Collaborative (PCPCC) as Director of Policy to help develop and implement the organization’s policy and advocacy agenda focused on making primary care more robust and patient centered. Chris previously served as Director of Policy at the Healthcare Leadership Council (HLC), a coalition of chief executives of the nation’s leading healthcare companies and organizations. HLC advocates for consumer-centered health reforms, emphasizing the value of private sector innovation in fostering high-quality care. In this role, he worked to convene issue experts from all sectors of healthcare and built consensus on a broad range of health policy issues. He also worked with members to implement strategies that have been effective in educating and influencing the policies of both Congress and the Administration. Prior to joining HLC, Chris worked for a leading patient organization where he advocated for people with Alzheimer’s disease and their families. A notable achievement in this role was participation in efforts leading to the passage of P.L. 111-375, The National Alzheimer’s Project Act. Chris earned his Master of Public Affairs from Indiana University’s School of Public and Environmental Affairs, and his Bachelor of Arts from Alma College in Michigan.